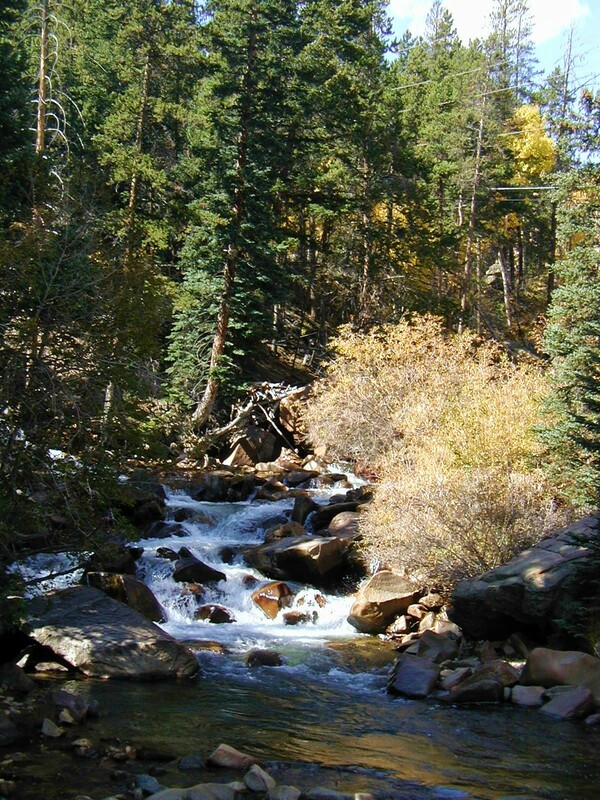 Here are a few of the photos I took some years ago while in Colorado. I believe I was using a point and shoot Konica-Minolta, 7mp camera. 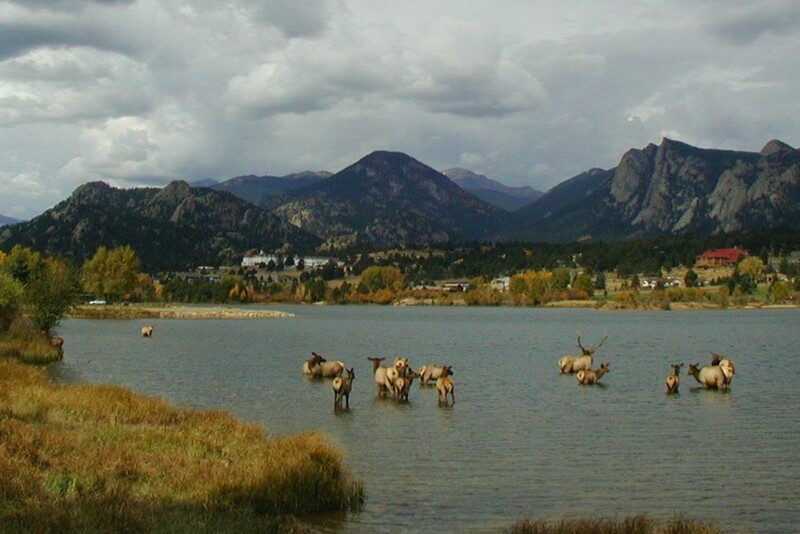 Each year in October, the elk migrate into Estes Park. They take over the place. I’ve even seen them downtown. 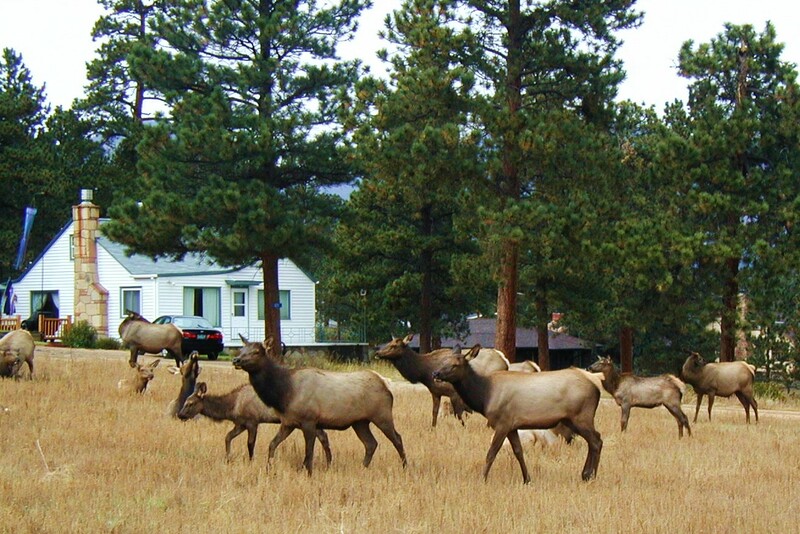 The town has an annual Elk Festival to celebrate them. They seem to be used to having people around. I never had an incident when photographing them, although I never get too close. 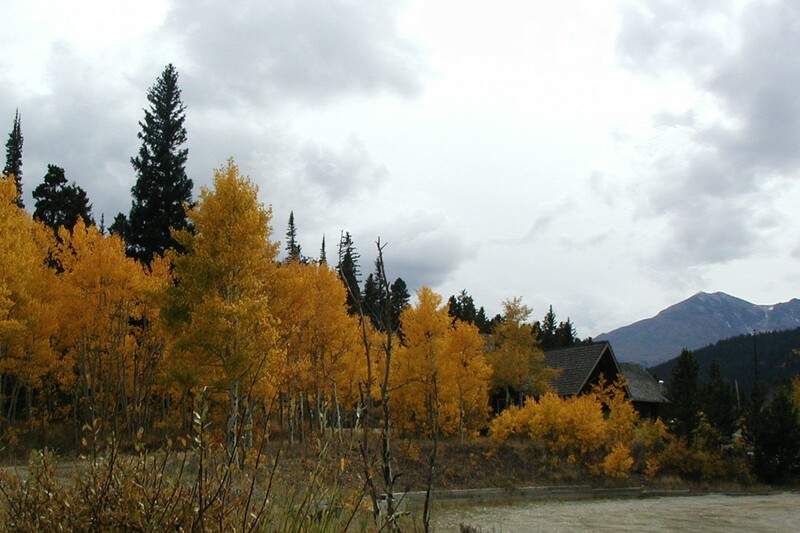 The aspen trees glow that time of year, and they’re spectacular to see in the sun light. 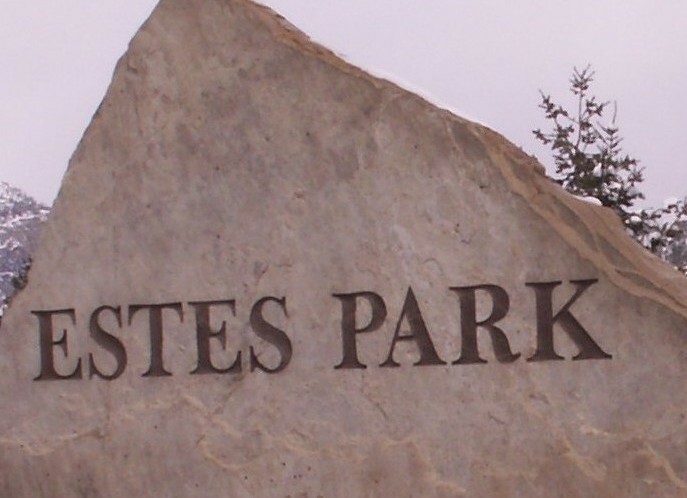 The lakes and mountains which surround Estes park are breath taking. Photos don’t do them justice. 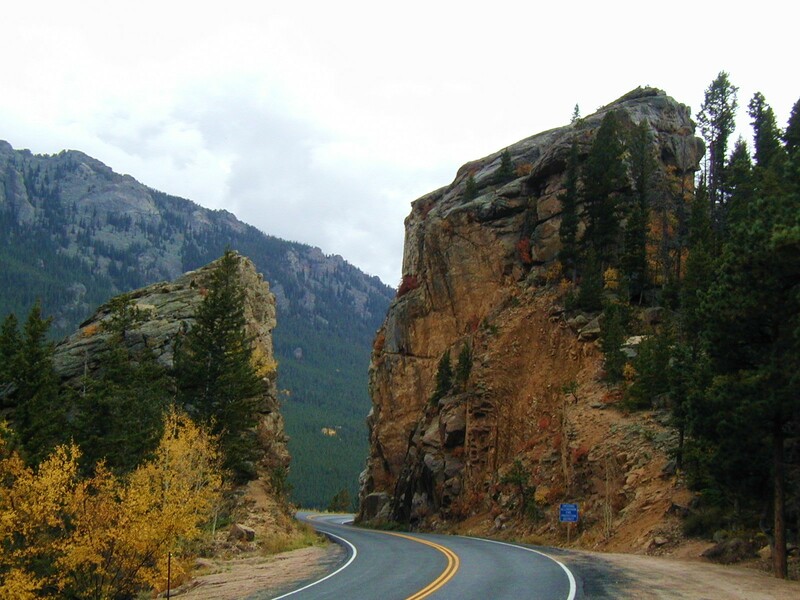 Estes Park leads you to Rocky Mountain National Park which holds some of the most delightful scenes imaginable. On the way out of town, there is an unusual chapel made of local rocks and boulders. 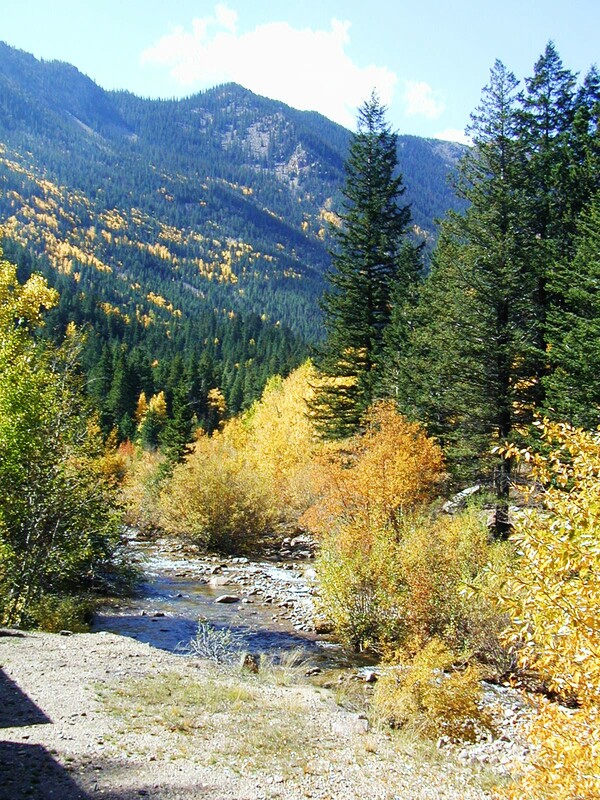 I hope you enjoy these photographs. Click on them to enlarge. 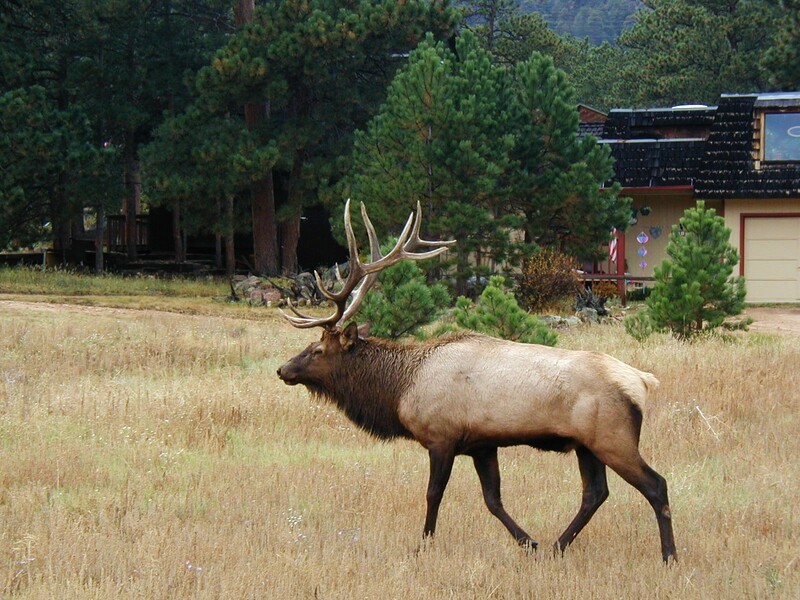 Nice bull elk watching his harem. 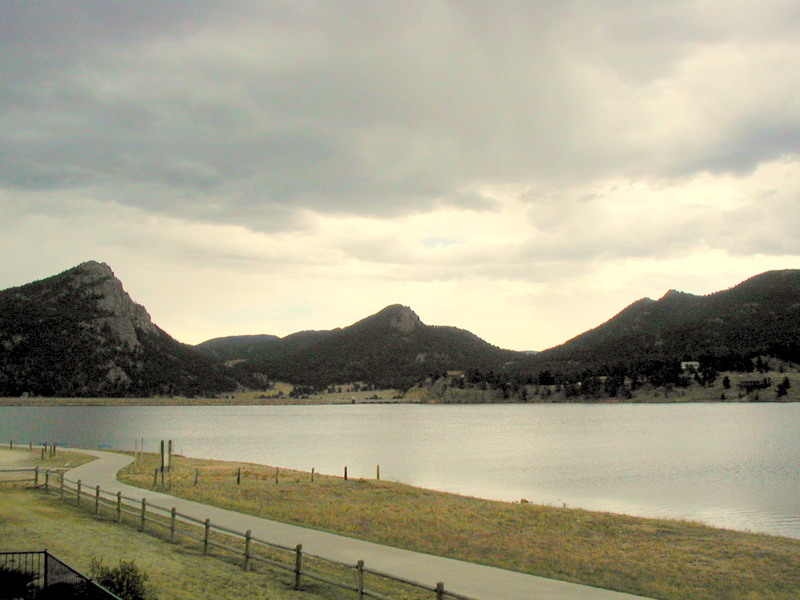 Another lake in Estes park. 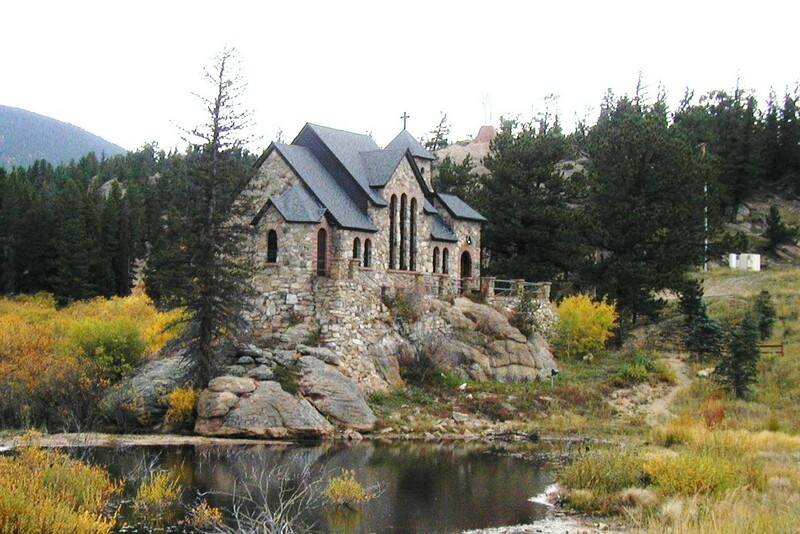 Church built of rocks at Allenspark.